The BCE 7' Pool Table (PT13) is an incredible heavyweight 7 foot American pool table with brilliant styling and amazing build. It features 4 independent leg levelers making sure it stands firmly on an uneven floor and comes complete with a convenient ball return system. The BCE 7' Pool Table (PT13) comes complete with 2 x 57" 2 piece cues, a set of American 2 1/4" pool balls, a triangle, chalk and a table brush. 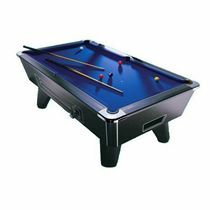 Additionally, a beech wood finish with blue cloth ensures its excellent look. 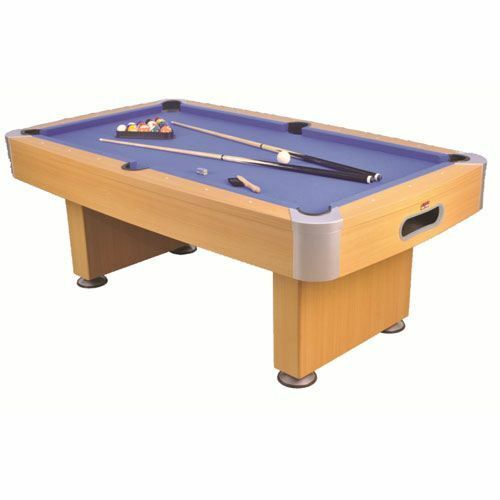 for submitting product review about BCE 7' Pool Table (PT13).